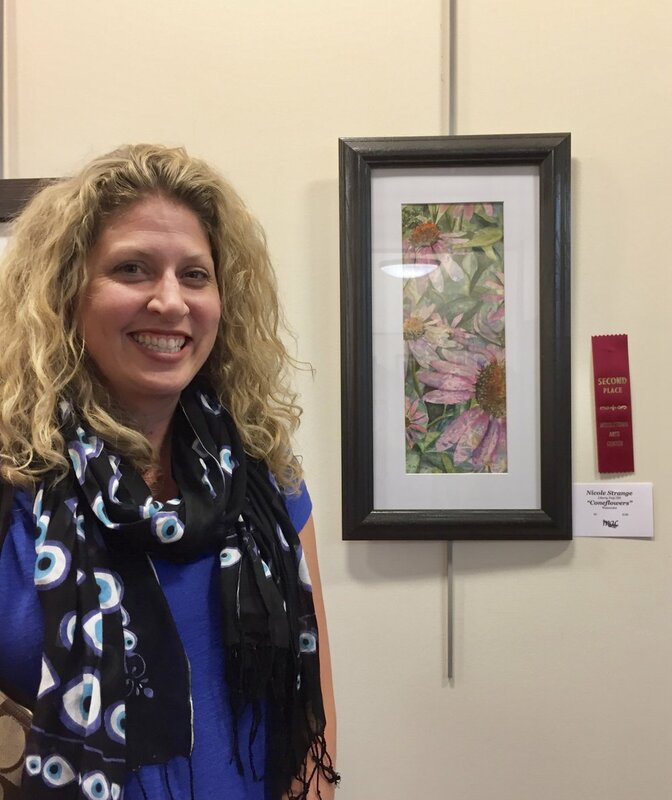 Her watercolor piece, “Hanging Hot” won an honorable mention in the watercolor category of the show. Judy’s watercolor, “Windows” won an honorable mention in the watercolor category of the show. Nicole’s watercolor, “Coneflowers” won 2nd place in the watercolor category of the show.